After serving his country in the Navy JAG Corps, Bill began his career with the Office of the City Attorney in Kansas City, Missouri in 1979, eventually rising to become the Managing Attorney of Corporate Legal Services. He served in that role until he was appointed City Attorney in 2012. While serving in the City Attorney’s Office, Bill’s willingness to help others in the office and to take on extra, challenging assignments resulted in his mastery of a wide variety of substantive areas of law. Bill handled difficult and often novel issues involving the First Amendment and substantive and procedural due process issues. As a result of Bill working on the Missouri Knights of the Ku Klux Klan v. Kansas City litigation which addressed First Amendment issues in the context of a public access channel, Bill shared the stage with Caroline Kennedy as her book “In Our Defense: The Bill of Rights in Action” was being discussed. Bill also developed an expertise in other substantive areas of law, including the following: sales taxation of cellular phone services, election law, including the law surrounding initiatives and referendums, municipal sovereign immunity, anti-trust, public access law, Missouri Sunshine Law, municipal contracts and code enforcement. Because of the breadth of Bill’s understanding of municipal law and the working of the City, Bill has provided the legal counsel and been the primary drafter of all of the City Charter changes over the past three decades. Bill successfully defended the City against tort claims arising out of the Hyatt Skywalk disaster. Bill drafted the legislation that created the Metropolitan Ambulance Services Trust that provided emergency medical care to the citizens of Kansas City for years. Bill’s work is widely known across the municipal and constitutional law community to be amongst the highest order. His efforts have benefited not only Kansas City, but often municipalities and political subdivisions statewide. In 2005, he was awarded the Lou Czech Award for outstanding contributions to municipal law by the Missouri Municipal Attorneys Association and in 2016, he was awarded the prestigious James H. Epps III Award for significant achievements and distinguished service to the same community by the International Municipal Lawyers Association. His colleagues in the KCMO Law Department and the MMAA, offer their sincere admiration and gratitude for his leadership and service. Facts: Village sought to annex approximately 347 acres of unincorporated land located in Buchanan County, adjacent to its existing city limits (“Annexed Territory”). City of St. Joseph, Missouri (“City”) owns approximately 238 acres of the Annexed Territory. 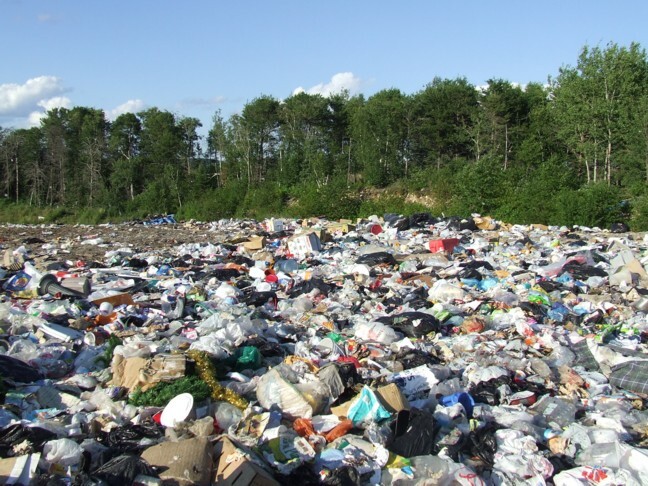 City owns and operates a landfill that is located west of the Annexed Territory. City has previously attempted to expand the landfill into the Annexed Territory by applying for conditional use permits from Buchanan County. Though Village has successfully opposed these applications, it decided in May 2013 to initiate involuntary annexation proceedings pursuant to the Sawyer Act to control how the Annexed Territory would be developed in order to maintain the character of Village and the quality of life enjoyed by Village residents. The plan of intent provided that the Annexed Territory would remain zoned agricultural. The Village authorized the annexation, and a majority of the electors in both the Village and the Annexed Territory approved the annexation. Village then filed a petition seeking a declaratory judgment authorizing the annexation. The trial court found that the Village failed to put forth substantial evidence to establish that the reasonableness and necessity of the proposed annexation was fairly debatable; therefore, the Village could not proceed with annexation of the Annexed Territory. Village appealed to the Western District. Opinion: The Village argued that it established by substantial evidence that the reasonableness and necessity of the annexation was fairly debatable. Village also argued that the trial court erred because it refused to consider the desire of the Village to regulate the Annexed Territory to prevent a noxious use. The Western District , noted that in determining the reasonableness and necessity of an involuntary annexation it is necessary to decide each case on its own unique circumstances. 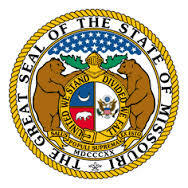 Missouri applies twelve nonexclusive factors in weighing and determining the reasonableness and necessity of an involuntary annexation (Centralia factors). The Village argued that the trial court erroneously imposed the burden of persuasion on the Village; thereby substituting the court’s judgment as to the reasonableness and necessity of the annexation. Comment Howard: This case provides a very good analysis of involuntary annexations making it a good starting point for your research. In addition, footnote number 6 stated that the judgment did not address the third statutory factor, which is that the Village did not and could not provide municipal services to the Annexed area within a reasonable period of time. Because the court affirmed the trial court’s judgment on the second statutory factor it saw no reason to address this issue. Facts: Respondent was elected mayor of Jennings. The Missouri Ethics Commission, which is responsible for administering Missouri’s campaign finance disclosure laws, received a citizen complaint regarding the mayoral election. The complaint alleged that Respondent failed to file a committee disclosure report and financial summary for the campaign as required by law. The Commission initiated an investigation and issued a subpoena duces tecum to Respondent to provide “[a]ll documents related to the April 2015 [municipal] Mayoral race,” including bank statements, cancelled checks, debits and credits associated with [Respondent’s] campaign’s account, receipts for campaign expenditures, and records for all monetary and in- kind contributions. Respondent produced no documents. The Commission filed an application to enforce the subpoena. The Commission appealed to the Eastern District. Opinion: On appeal, the Commission argued that the trial court erred because the request by the Commission comported with all controlling law. The court noted that generally courts will enforce a subpoena during an administrative investigation if the inquiry is within the agency’s authority; the demand is not to indefinite; and the information sought is reasonably relevant. The Commission has authority to investigate alleged violations and pursuant to statute it has authority to issue a subpoena to produce documents, which the investigator deems relevant. Facts: This case involves an employment dispute between the City of Wentzville, (City) and its former building commissioner, Diane Bolderson. Bolderson’s employment proceeded without incident for about twelve years, but significant difficulties arose when she criticized changes to the city’s building code, requested an advisory opinion on the bidding process for purchasing computer equipment, and asked for an audit of the city’s procurement department. Difficulties came to a boil when Bolderson criticized the City’s handling of an aquatic-center project. She sent a memo voicing her concerns to the city administrator, the mayor, her immediate supervisor, and others. About two weeks later, Bolderson forwarded a formal report to the mayor, city attorney, and others, accusing the City’s board of aldermen, the city administrator, and the city’s procurement director of fraud and acting with conflicts of interest. The city administrator fired her four days after she submitted the report. He gave Bolderson a list of reasons for her termination, which included her disparagement of city officials, criticism of the board’s decisions, and insubordination by communicating directly with the mayor, baseless accusations of fraud, misuse of work time, and disruption of city operations. Bolderson sued the city under 42 U.S.C. § 1983, alleging that it fired her in retaliation for engaging in protected speech. The district court granted summary judgment for the City, holding that, though Bolderson spoke on a matter of public concern, she did so in her official capacity as building commissioner and not as a private citizen, thereby making her speech unprotected under the Free Speech clause will. The district court also concluded that, even if Bolderson had spoken as a private citizen, her claims would have failed the Pickering balancing test. The district court noted that the City would be able to demonstrate that it would have terminated Bolderson anyway, even if she had not engaged in the allegedly protected speech. Bolderson appealed the district court’s decision to grant summary judgment for the City to the Eighth Circuit. Opinion: Bolderson argued that the decision to terminate her employment made the city liable because her harm stemmed from an official municipal policy since the City Administrator was the chief administrative assistant to the Mayor and had general superintending control of the administration and management of the officers and employees of the City subject to the direction and supervision of the mayor. The Eighth Circuit reasoned that Bolderson did not show the mayor played an active role in her termination; therefore, she failed to show that the city administrator was the final decision-maker because the city ordinances showed conclusively that the mayor was the final decision-maker. Comment Howard: This case holds that before the City is liable there needs to be proof that the final decision-maker was involved which was the mayor. Because Bolderson failed to provide sufficient facts to show that the Mayor was involved in the decision to fire. It would seem that Bolderson’s complaint of fraud could have fell within the anti-fraud ordinance of the City (ordinance not shown in the record) leading me to think that the city administrator was acting on his own. It seems that there was more going on in this case then what is reflected in the opinion. Compare this case to an earlier decision by the Eighth Circuit in Morrow v. Zale Corporation, (8th Circuit No. 15–2321, 03 /15/16) in which a supervisor, who was involved in the investigation leading up to a termination of an employee, was considered to be a decision-maker. Facts: On August 1, 2015, Missouri State Park Ranger, Terry Shaw (“Ranger Shaw”), stopped Driver in Bennett Spring State Park for driving while intoxicated. 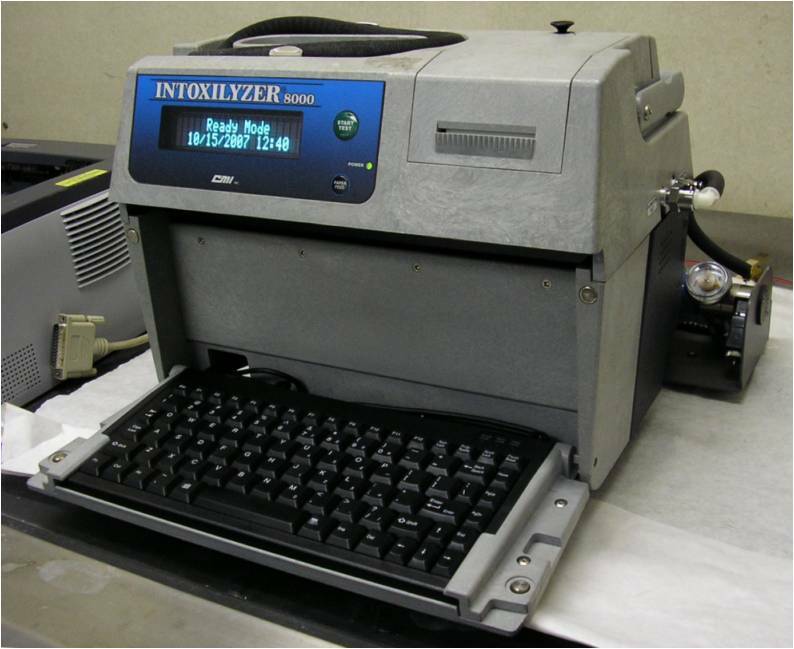 During the course of the stop, Driver stated he had been drinking, showed several indicators of intoxication on each field sobriety test administered and refused to complete a portable breath test. Driver stated, “Well, I’m not going to blow. I’m not going to blow at the jail either. You can just arrest me then.” At the jail, Ranger Shaw read Driver the provisions of the implied consent law from a form, and Driver again refused to take a breath test. Ranger Shaw issued Driver a revocation notice for refusal to submit to the breath alcohol test. Opinion: On appeal the Driver argued that he was not advised of the purpose of the test because Ranger Shaw failed to check one box on the influence report form. The box that was not checked states that the suspect was informed that the purpose of the breath test is to determine the alcohol content of the suspect. The Driver argued that because the box was not checked his refusal was not a valid statutory refusal. Sergeant Vance stopped DE L’Isle for following too closely to a semi-tractor trailer. When the officer approached DE L’Isle’s car, he smelled burnt marijuana and saw air fresheners inside the car. DE L’Isle accompanied Sergeant Vance to his police cruiser where DE L’Isle was given a warning citation for following too closely. Sergeant Vance then deployed his canine, which alerted to the presence of controlled substances inside the vehicle. When Sergeant Vance began searching the vehicle, DE L’Isle approached him and told him he could not search the vehicle. After a brief struggle between DE L’Isle and Sergeant Vance, DE L’Isle was handcuffed and placed into the backseat of the police cruiser. Sergeant Vance and two other officers completed the search. No narcotics were found, but they seized a large stack of credit, debit, and gift cards located in a duffle bag in the trunk of DE L’Isle’s car. DE L’Isle was subsequently arrested for assault and resisting arrest. United States Secret Service agents then scanned the seized cards and discovered that the magnetic strips on the back of the cards either contained no account information or contained stolen American Express credit card information. Ten of the cards were American Express credit cards with DE L’Isle’s name on the front. The magnetic strips on the back of these ten cards, however, were “empty;” (there was no information on the magnetic strips). The magnetic strips on some of the cards contained credit card information from legitimate American Express customers. 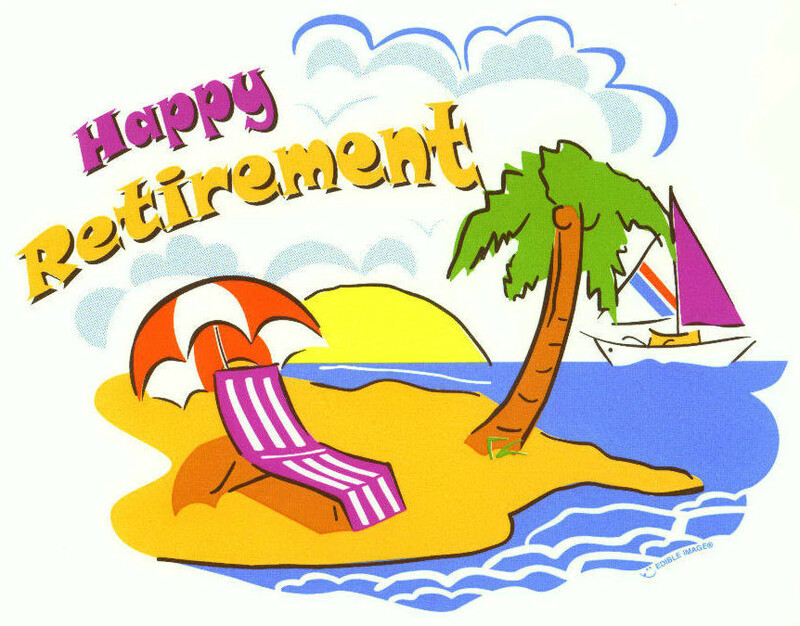 Cards 48 through 58 were Visa debit cards, Visa gift cards, and a MasterCard. 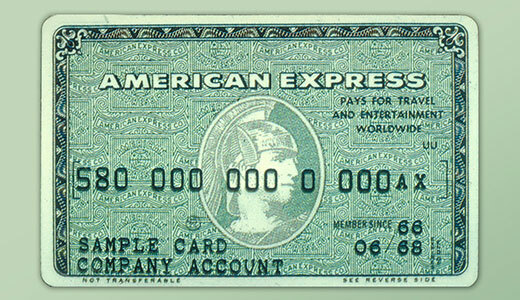 Account information on the American Express cards was DE L’Isle’s even though; he had no existing accounts with American Express. As a result, DE L’Isle was charged with possession of fifteen or more counterfeit and unauthorized access devices, in violation of 18 U.S.C. §§ 1029(a)(3) and (c)(1)(A)(i). He pled not guilty, De L’Isle filed a motion to suppress asking the district court to suppress any evidence discovered when law enforcement scanned the magnetic strips on the seized cards. He argued that the search of the information on the magnetic strips was done without a warrant or a warrant exception and thus violated his Fourth Amendment right to be free from unreasonable searches. The district court ruled that even though the motion to suppress was untimely it would considered the merits of the motion. Thereafter the district court denied the motion to suppress and DE L’Isle appealed to the Eighth Circuit. Was There a Physical Intrusion? : The court reasoned that the magnetic strip on the back of a debit or credit card is an “external electronic storage device” that is designed to record the same information that is embossed on the front of the credit card. Therefore, sliding a credit card through a scanner to read the virtual information does not invade a person’s private property because it was identical to the information on the front of the card that is plainly visible. Facts: Officers of the Vermont State Police responded to a report of a woman’s body near the town limits of Brattleboro, Vermont. This area was “off the beaten path,” in a wooded area approximately 30 yards from the road. When the officers arrived, they found the woman’s body. She had a gunshot wound to the back of the head and she was on the ground in a kneeling position with her hands clasped in front of her. Based on the body’s position, it was apparent that the woman had not committed suicide. Moreover, the lack of a blood trail indicated that she had been shot there. As a result, the officers suspected that the woman was a victim of a homicide and that her assailant could still be armed. The officers identified the woman as Melissa Barratt who had recently come to the attention of Vermont State Police when she was arrested in Brattleboro for selling drugs. At the time, Barratt told her arresting officers that she was “extremely nervous and afraid of Frank Caraballo,” with whom she worked dealing drugs. In particular, she stated that “if he knew that she was talking to the officer, he would hurt her, kill her.” This, she indicated, was not an idle threat, as she knew Caraballo to have access to multiple firearms, and to have committed assault or even homicide on previous occasions. Though the arresting officers sought to have Barratt cooperate with them in an investigation of Caraballo, she refused, largely out of fear that she would “basically be killed” if she cooperated. The officers at the scene subsequently learned that Barratt had continued to work for Caraballo after her release. Moreover, the investigating officers knew that, after Barratt’s arrest, Brattleboro police had conducted an investigation of Caraballo’s drug operation. Through June and July, police completed “at least three recent controlled buys of narcotics” with Caraballo, and that these sales required the participation of multiple undercover agents and confidential informants. Through these sales, the police knew two phone numbers that Caraballo had used in connection with his operation. They were similarly aware that Caraballo had no residence in Vermont, but instead traveled to and from Massachusetts and stayed in hotels. Caraballo, the primary suspect was a man whom the victim had told them not only had a significant propensity for violence but also possessed a number of firearms. In addition, the investigation of Caraballo had separately indicated that he had taken over the drug operation of his brother, Michael, and was as such “armed and dealing drugs.” The officers also believed that the local police who had infiltrated Caraballo’s drug operation could be harmed if they came into contact with him. Considering the need to protect the safety of undercover officers and informants the officers concluded that it was essential to locate Caraballo as soon as possible; therefore, the officers did not apply for a search warrant but instead contacted Sprint to request that Sprint locate Caraballo by using its GPS system to ping the GPS software in his phone to locate him remotely—a process called “pinging.” After Caraballo was located, arrested (all within 90 minutes) and charged with a number of crimes Caraballo filed a motion to suppress all evidence based upon a violation of his Fourth Amendment right to be free from unreasonable searches and seizures. The District Court overruled the motion to suppress and Caraballo appealed to the Second Circuit Court of Appeals. Because Swank did not withhold and remit the income as ordered, the Division filed a Petition to Enforce Child Support Withholding Order. Swank added Silkwood to this action as a third party defendant. Silkwood, however, did not appear or participate in the proceedings. The trial court found that Swank “did not willfully fail or refuse to comply with the withholding directives and that he acted in good faith, therefore, Swank did not “willfully fail or refuse to comply with the withholding directives;” therefore, Swank acted in good faith because the planned withholding was abandoned.